Acute soft tissue injuries from sports activities often need early and aggressive treatment to enable athletes to quickly return to their sport. Athletic taping can be used to protect a damaged structure or to brace it while it is at a high risk of re-injury. Sports injury physiotherapy in Victoriainvolves experience in these areas of athletic injury, treatment, and rehabilitation. Sports injuries need specialized, sports-specific physiotherapy including training techniques to ensure rapid recovery and safe return to the sport. We work with many local athletes including runners, soccer players, hockey players, and racquet sport players of all kinds. We treat both amateur and professional dancers, as well as varsity basketball and volleyball players and martial arts students. 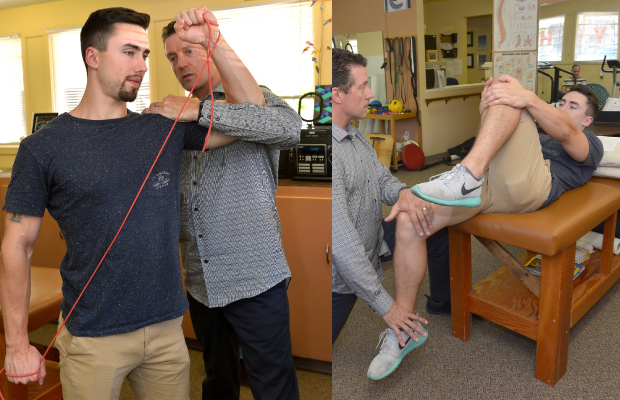 For sports physiotherapy in Victoria, BC, call Town & Country Physiotherapy to schedule an appointment.